Want to start a carpet cleaning business? Since the 1960's carpets have routinely been installed in homes and commercial buildings creating a ready made market for the carpet and floor cleaning industry. Carpets need to be professionally cleaned on a regular basis to maintain their fresh and new look, extend the life expectancy and to keep them hygienic. Without the correct training and equipment a lot can go wrong but with over 25 years experience in the cleaning service industry, Amtech UK have an excellent track record for new carpet and floor cleaning set ups. At Amtech UK we will guide you through our range of professional carpet cleaning machines and business starter packages to find the best equipment that suits your business plan. Our business starter packages include all the equipment you will need to get started, including carpet wands, upholstery tools, and hoses. 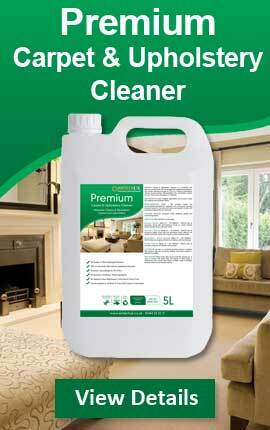 We also provide advice on carpet cleaning chemicals, training on how to operate your carpet cleaning machine. 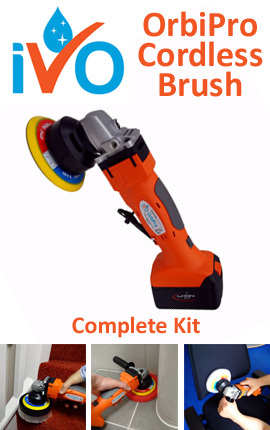 Amtech UK was established in 1993 with a single aim of revolutionising the cleaning industry. We work with the leading manufactures namely CFR, Powr Flite, Ecotec Industries, Pioneer Eclipse and RID-A-Gum Corp.
Our products are leading the field with CFR / Powr Flite the world's most powerful portable carpet extraction systems, the world's first 'Microsplitting' non detergent, environmentally friendly carpet and upholstery care products. Our machines are the most powerful on the market. Our CFR Recycling systems are the only true GREEN extractors in the market today (they use less water and less cleaning fluid). 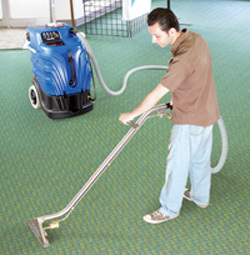 Typical drying time following a carpet clean in our industry is twelve hours. Drying time using our machines is two hours. This means happier customers, and no chance of bacterial smells building up caused by the clean. We are committed to setting the industry standard for quality, safety and protection of our environment. From our Head Quarters in west Sussex, we offer comprehensive training courses on Carpet & Upholstery Cleaning, Spot & Stain Removal, Restoration and Maintenance of Hard Flooring. "Being new to the Carpet Cleaning Business, I found it really hard to find someone to help me choose the right machine for my needs until I spoke with Amtech UK. They took a massive weight off my shoulders and talked me through all the options available to me. They tailor-made a system that perfectly suited my requirements as well as giving me full training on cleaning carpet & upholstery. I would definitely recommend Amtech UK to all new starters." "I just wanted to say how delighted I am with our Powr-Flight carpet extractor and your training programme. You have totally transformed my cleaning business and hugely improved my productivity. Issues such as long drying times and browning are now the thing of the past." "We bought a Powr-Flite carpet cleaning machine from Amtech Uk and were totally amazed by the results. With our old machine it took anything up to 12 hours for the carpets to dry. Now, it takes less than 2 hours and on top of that our standards have improved by 40%. Our customers are much happier and I am getting many more recommendations."